Texan born Robert Glasper’s first strong musical influence was his mother ‘Yvete Glasper. Ms Glasper played piano and sang gospel music in the family’s church. She also led a band that worked the city’s jazz and blues club circuit. By the age of twelve Robert was playing piano in the same church. By the time Glasper had reached adolescence, he knew his destiny was to be a jazz musician. He attended Houston’s High School for the Performing Arts. After graduating he continued his studies at New School University in Manhattan. He soon hooked up with future band member Damien Reid and old school mate Bilal. Glasper’s Sophmore album “Mood” was released on indie label Fresh Sound New Talent in 2003. He joined the Blue Note label two years later. 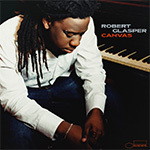 I procrastinated for quite some time before deciding to review Robert Glasper’s “Canvas”. After many decades of music buying, I still get a tingle of excitement whenever I physically grasp a new album. Probably similar to many women’s passion for designer shoes. Of course I have never looked that great in high heels, so I’ll stick to purchasing great music for as long as I can afford to! The emergence of Glasper’s Canvas takes me back to the early eighties - bear with me…. In the early eighties a young little known trio named ‘Pieces Of A Dream’ burst onto the scene. Jazz lovers and music journalists were shocked when they discovered the relatively fresh faces of this trio on their first album cover. Questions were asked regarding how a group so young could ‘compose’ and create such a mature, enduring sound. Times have moved on and many young talented musicians have emerged, who in turn have produced jazz gems. These gems have withstood the test of time. Glasper and “Canvas” can be added to this list of ‘young talented musicians who have produced jazz gems’. 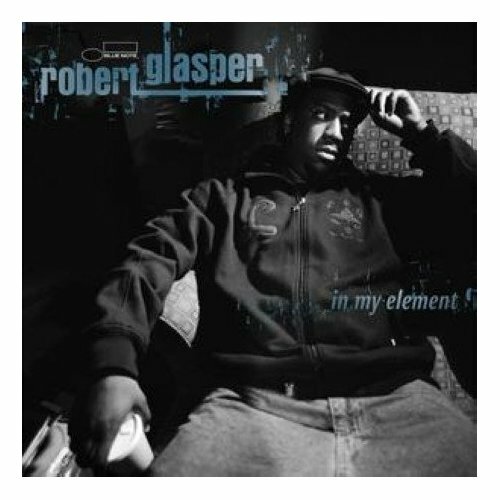 This album is, in many ways a celebration of Glasper’s intuitive approach as a composer. Glasper himself pens all compositions apart from Herbie Hancock’s “Riot”. Glasper calmly revealed during our informal chat recently. He spoke briefly about his school years and his shared dreams and friendship with the continually rising neo-soul star Bilal. Glasper’s back straightened and his eyes lit up with love and respect when discussing his late mother, who features on the hauntingly beautiful “Remember”. This composition, which Glasper fittingly dedicates to his mother, also features Bilal, who adds a melodic moan and rhythmic groove on another Glasper composition, “chant”. Canvas carries subtle R&B / hip-hop influences throughout. So subtle are these influences within many of Glasper’s main piano led compositions that they will possibly be missed by the staunch R&B / hip-hop lover. However - give it a few years I am confident many hip hop ‘hit-makers’ will be revisiting this album to loop a few beats and revel in it’s fresh creative bounce. Especially from the intriguingly ghostly “Centelude”. Glasper’s soulful influence is less subtle, possibly helped along by fellow school pal Billal. Glasper allows the listener to almost ‘grow into each composition’. I felt I was given time and space to explore. Each time I revisited this album, it sounded different. I have listened many times now and feel I still have not fully grasped the whole spectrum of emotions Glasper has on offer. I have no doubt regarding my favourite composition. “Chant”, which sticks in my head and heart - just like my first ‘real love’. The only negative issue regarding this album is not actually related to the musician and his music, but more towards the format it is recorded on. C D technology has definitely moved on from it’s early cold primal beginnings, but my ears and soul still crave for the added depth and detail which I know can be found within the dark grooves of a well-pressed ‘analogue’, vinyl recording. Yep I’m a young man trained in the old school traditions. 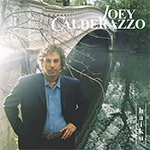 Click Joey Calderazzo's album to view his photographs and read his biography.